Fotoflow Gallery is powered by PhotoFlip and ThumbLister CS. It provided a navigation menu with prefect sliding effect and unique touch control. Now photographers can make their own stylish photo flipping gallery without using Flash. With extremely "easy-to-use" interface, just a few click from the interface to create a gallery. And that's it! You just need 1 mintue to convert your photo collection to cover flow gallery with smooth transition, mirror, transparent effect. Photos can show in slideshow mode. Control buttons, transition time and effect can all be customized. 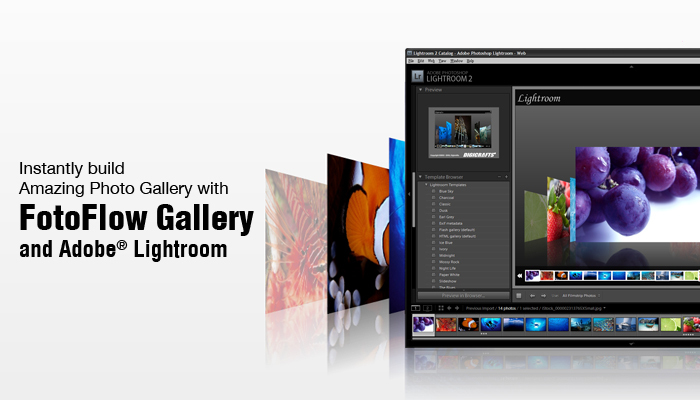 The gallery support full size image up to 5000 x 5000 resolution with popup window. User can get the full size images when click on the photo.